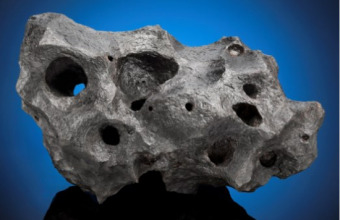 One of the finest meteorites in private hands, known as ‘The Heart of Space’, could fetch up to $500,000 when it goes up for auction at Christie’s next month. 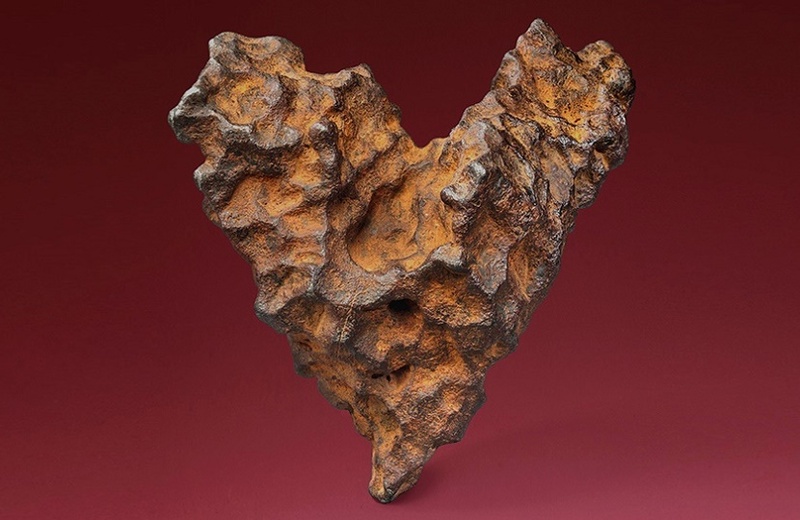 The unique heart-shaped iron meteorite fell to Earth in 1947, and will now cross the block on February 14 – just in time for Valentine’s Day. 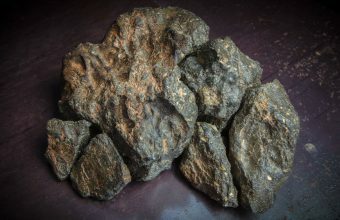 The Sikhote-Alin Meteorite started life in the Asteroid Belt, located between the orbits of the planets Mars and Jupiter, approximately 320 million years ago. Having broken off from its parent body, the giant iron mass began its approximate 250 million mile journey to Earth, which it finally reached on the morning of February 12, 1947. It was the largest meteorite fall ever observed in recorded history, with eyewitnesses in the Sikhote-Alin Mountains of southeastern Russia reporting what appeared to be the ‘end of the world’. As the enormous meteorite entered the Earth’s atmosphere, the explosion created a fireball brighter than the Sun and sent shockwaves across the region. The force of the blast uprooted trees, smashed windows and sent chimneys tumbling, and sonic booms were reported more than 300km away. 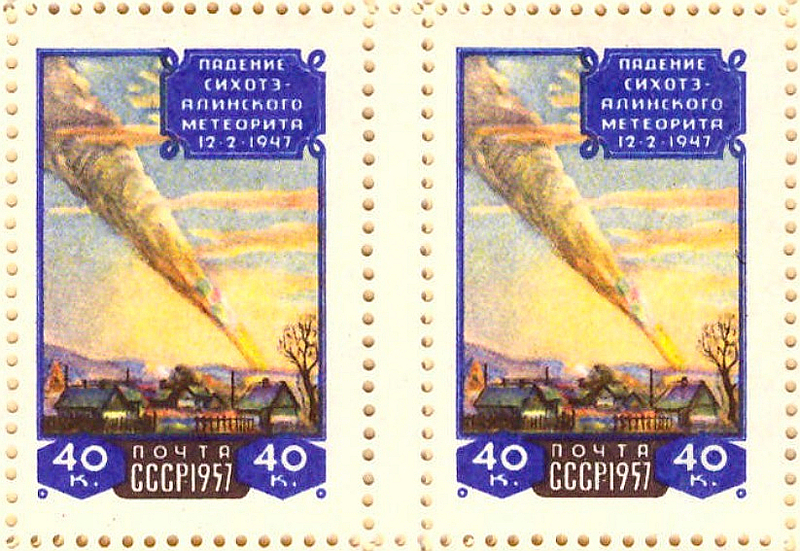 Amongst the witnesses who saw the meteorite strike first-hand was artist P. I. Medvedev, who saw the burst of light and the subsequent 33-kilometer long smoke trail from his apartment window. 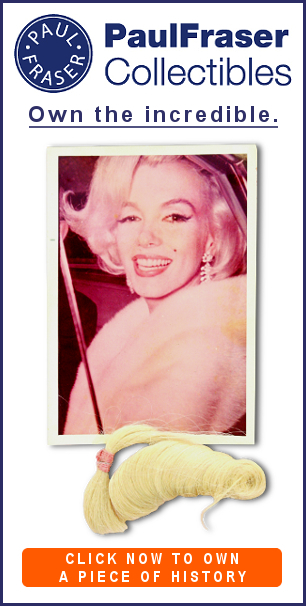 He immediately began sketch what he saw, and his subsequent artwork was reproduced on a postage stamp by the Soviet government in 1957, on the 10th anniversary of the shower. The strike produced almost 200 blast craters, with some up to 26 meters wide, and an estimated 70 tonnes of material strewn across the region. 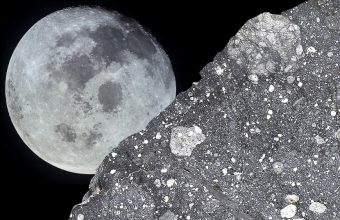 There are two types of specimens from the Sikhote-Alin meteorite shower: jagged shrapnel specimens created during the main explosion, and smoother specimens which broke from the main meteorite much earlier in the descent. The Heart of Space is one of the latter specimens, characterized by dimpled cavities known as regmaglypts which resemble thumb prints. The smoother surface and aerodynamic shape of the meteorite suggests some orientation during its through the atmosphere – meaning it held a relatively steady flight path throughout its fiery descent. Today larger specimens can be found on display in Russian museums, and numerous smaller fragments entered the private market, having been recovered by enthusiastic meteorite hunters. 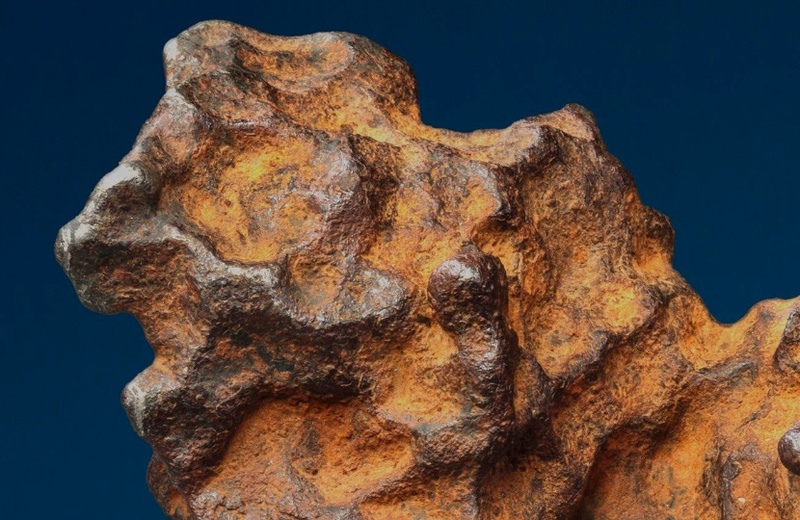 But the ‘Heart of Space’ is regarded as one of the most exceptional Sikhote-Alin meteorites in existence, and perhaps one of the finest aesthetic iron meteorites that ever fell to Earth.